Automated Cars: How Might They Be Safer and More Efficient Than Human-Driven Cars? With the roadways becoming more crowded every day, there are many concerns that come into play. Whether it’s the daily commute, family vacations or road trips, or a quick drive up to the store, getting from point A to point B in our Western world means having many vehicles on the roads at all times. People want to reach their destination quickly and with as little hassle as possible. It’s important to consider the prevalence of issues like safety and efficiency on the roads. So, with more people on the roads in general, what can be done to help keep us safer as well as save us time and effort? The introduction of automated cars means the future is quickly arriving. 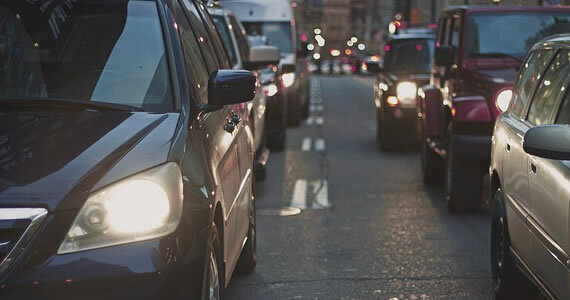 As we strive to save time and remain safe on the roadways, what are automated cars doing to contribute, and what can be changed to improve their design in an effort to meet these needs? In the densely populated Texas Triangle – an area formed by Dallas, Austin, San Antonio, and Houston – the death toll between 2005 and 2014 averages around 3,363 deaths each year. In many cases, driver error is a leading cause, such as driving while under the influence of alcohol, failing to drive in a single lane or failing to control their speed. These are all preventable human errors that bring about the question of whether or not the roads would be safer if human error wasn’t an issue. While it may feel strange to consider a robot driving a vehicle, computers use complicated algorithms that take into account a great deal of data when determining their next move such as appropriate stopping distance and distance from another vehicle. If self-driving vehicles are safer overall than human-driven cars, there will be less injuries and lives lost, which also mea less money spent on medical bills and with insurance companies. Saving lives and money are both huge benefits of automated cars. Additionally, it’s important to consider the amount of time that can be saved with owning a self-driven vehicle. Consider how much time you spend commuting daily. What if you could get work done, read or use the time to catch up with friends or family? It would, however, require enough self-driving cars on the road to learn information from each other regarding road conditions and traffic early on. This would be key in providing an efficient and safe journey. This does mean that there would be more opportunity for hackers to work their way into these systems. There is also a fear that with all of the data these computers will need, they may begin collecting and storing personal information as well. While there are many positives to self-driving vehicles, in order for those positive effects to take place, roads would need to be filled with automated vehicles. The cost of implementing self-driving vehicles fully would be great. With human-driven vehicles still on the roads, accidents can and will happen. The more self-driving cars we have, the more smoothly things can run. The recovery era is already in progress. The very availability of the Green Car lineups from major manufacturers is the direct evidence to the fact. There is no alternative, but to recover whenever there is any affliction. It is only a natural process. Many people are making significant constructive efforts to restore the sanity of existence. The insane ones are fast losing the conflict because that is what they want. How else can you justify the craze to exploit the earth until it upsets all natural balance systems? Oil spills are not uncommon events. Although the media may choose to ignore such spills, you can always find the right info from online resources. The earth is a living entity. Planet earth is the matrix of all life in it. The afflictions on earth have been so severe that major climatic upsets are becoming frequent. The US continues to handle extreme cold as the polar vortex. It snowed in Egypt and flooded in Saudi Arabia. Volcanic eruptions and major earthquakes are not much rare phenomena anymore. The arctic ice sheet continues to disappear. The Japanese tsunami wrecked huge havoc, and destroyed the town of Fukushima. The devastated nuclear power plant in the ghost town is daily spewing tonnes of radioactive waste in the Pacific Ocean. In such an apocalyptic grimness, the progressives continue to fight for the cause. Driving an electric car is a decision in the right direction. Although the buildup of moments takes much time, yet the precise event of transition is abrupt. You need to discard your current vehicle right now. You just deny yourself an amazing life by postponing the shift. Take control the situation by taking the right decisions. Find a good dealer for selling your gas-guzzling four-wheeler. You can benefit from a nice little amount. The resale value of old cars deteriorates very rapidly nowadays. With a diverse range of new vehicles entering the market, the old car values drop drastically in only a couple years of usage. Find a dealer sporting notices such as, “we buy junk cars.” Check if the service recycles and salvages your current unit. The salvage car dealers pay better than the scrapyard people do. Essentially, a petroleum extraction company has zero vision. It cannot see and accept the obvious scarcity of the fossil fuel source. However, the world does not wait upon the ones wanting to destroy it. It moves on in an electric car. 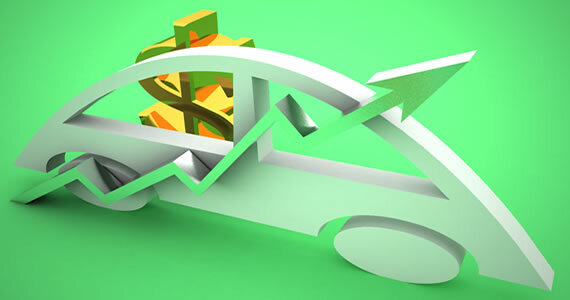 Increasingly, people are looking for Green alternatives in choosing a new vehicle. Sensing the inevitable market, car producers are shifting to the ECO technology. It is an imperative survival strategy for the manufacturers. Whether the people like it or do not so, everyone has to drive an electric vehicle in a not-so-distant future. The oil economy is quite frankly in its last stages now. The signs of a breakdown are imminent at all aspects. Just consider the ever-increasing price of petroleum, and realize the scarcity driving the hike. It is merely a myth that electric cars cannot attain top speeds. Talented and young Croatian innovator, Mate Rimac smashed the myth of slow velocity. The 25-year old innovator also owns an elite automobile manufacturing service. The company unveiled a super-electric car two years ago at an international motor show. This amazing vehicle currently competes for the top spot in the world of high-speed four-wheelers. You can find several budget-friendly electric car alternatives nowadays. You also save largely by eliminating the fuel expenditure. You do not have to pay the price for the liquefied fossil and share the burden of calamity. Change to a Green car at the earliest. The experience of driving around in one is awesome frankly. Bio- Jack is a free lancer writer of many cars blog and he has written 100’s of articles on “we buy junk cars”.